350 watts? Yeah right! The mangled English grammar does nothing to instill confidence as well. Is it a mistake? Is it false advertising? Turns out that there is a post on the forum at badcaps.net about these power supplies and it is only a 250W power supply. I was looking at repairing a Panasonic microwave oven yesterday. Customer said it went bang. Yep! It went bang! The current sense resistor in the switch mode power supply had gone splat all over the PCB. The control ic has probably gone. I didn’t bother to check it. It is pretty much a given that it is shorted. It is one of those eight pin jobs. To me it is always a big ask to have over 300 volts pumping through one of these piddly little ic’s. I suppose it works ok because there are millions and millions of these little babies doing their job perfectly well for years and years all over the place. That left me spluttering! The buggers at Matsushita only sell them to Japanese companies! And I bet it has to be in production quantities. Big sigh….. Another bit of gear that I can’t repair down to component level. 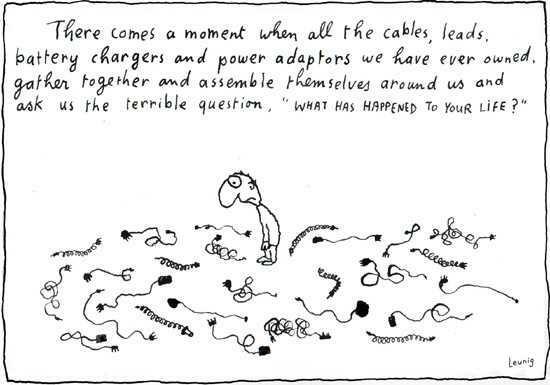 Image: Courtesy of Michael Leunig. We get a lot of this sort of stuff coming in for recycling. Maybe our customers are trying to avoid that question? I know that I don’t want to be asked that sort of thing by a bunch of cables and stuff! Check out Peter’s homemade e-bike. 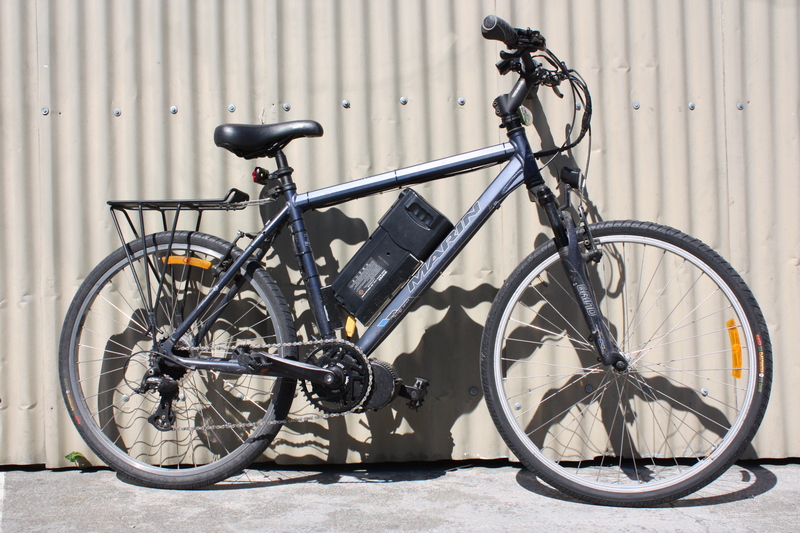 The battery pack housing is from a recycled NZ Post e-bike battery that Peter repacked with recycled 18650 cells. The battery pack housing and the 18650s are from us here at Ecotech Services. Peter sourced the hub motor from overseas and it was easily retrofitted to the Marin bike frame. Good on ya Peter! Nice job! To celebrate International Repair Day Ecotech Services is offering free evaluation and repair on a wide range of faulty electrical, electronic and computer equipment. The event will be held in the carpark at 139 Wordsworth St, Sydenham between 9:00am and 5:00pm on Saturday the 20th of October. Experienced, registered technicians will be present to evaluate and if possible carry out the repair of any item that uses electricity. Parts and tools may be made available for individuals to repair their own items. If wet the event will be postponed to the following Saturday. A press release on the event can be seen here. I had a Megger MIT220 meter come in for repair from Dells Appliances, our related company. It was not giving a reading. It was an easy fix. 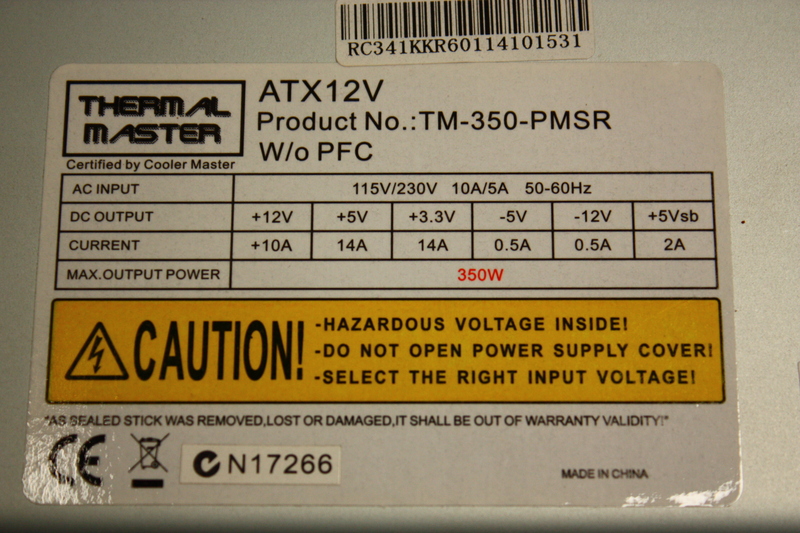 The wire had broken of the test lead terminal inside the meter. After taking it apart it was obvious what actually caused the fault. The metal contact of the terminal could rotate inside the terminal housing by about a millimetre either way. With usage the solid core wire eventually broke due to metal fatigue. I did a permanent fix by gluing the contact in place. This is a case of poor design. They did a nice job with tying down the two wires so I don’t think it is something that could have been overlooked. Also design engineers should realise that solid core wires should not be used where there is any possibility of movement. 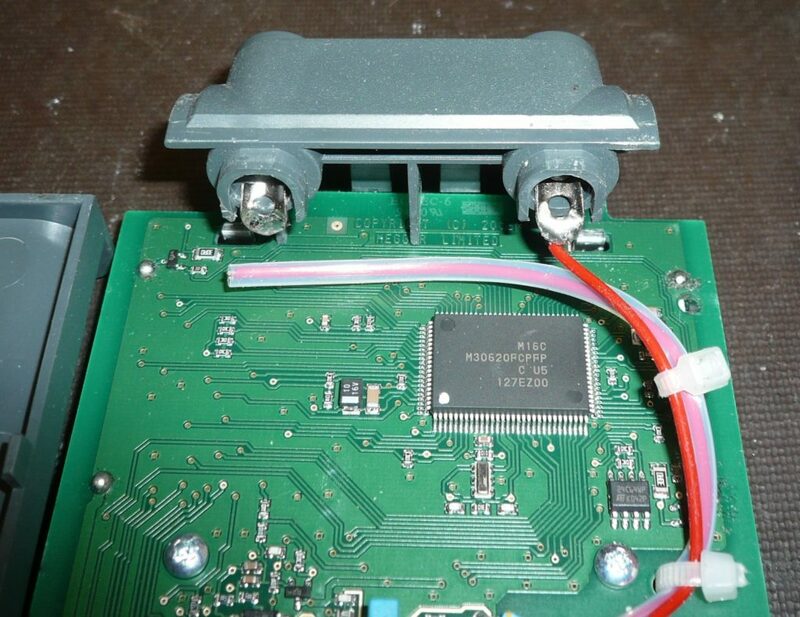 It is really annoying that manufacturers cut their production costs by leaving out two of the wires. 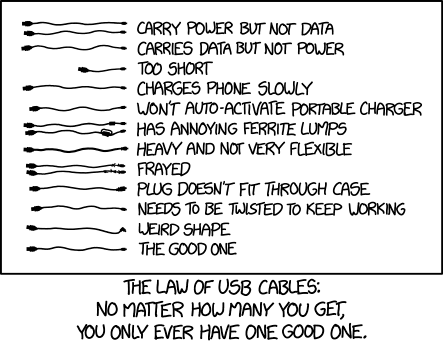 A USB cable is supposed to carry power AND data. Another accurate observation from xkcd. Due to the growth of Ecotech Services and because of the acquisition of Dells Appliances we have moved to new premises at 139B Wordsworth St in Sydenham, Christchurch. Our telephone number has also changed. It is now 03 3770773. We apologise for any delays in our services that may be due to the efforts needed to move our operation. Megan Hieatt and Alan Liefting, owners of Ecotech Services, have as of today acquired Dells Appliance Service Centre. Alan is the Managing Director of both companies. Dells Appliances is a long established whiteware servicing company and is a warranty service agency for a number of major manufacturers. Microwave oven and induction cooktop repairs will no longer be done by Ecotech Services but can be done by Dells Appliances. Ecotech Services will still supply microwave oven spare parts and recycling. We would like to apologise to the customers of Ecotech Services that may have experienced delays in recent weeks while we worked through the purchase of Dells Appliances. This week is Techweek, an annual talkfest here in New Zealand about the future of technology. But there is something that they are not talking about. I’ll jabber on a bit before making my point. I like technology. Especially electronics. I have been playing with it and fixing it for a long time. I find it all really interesting. Unfortunately most technology has a dark side. In the case of e-technology one of the problems is getting the stuff recycled. It is changing at a great rate of knots and so the older stuff gets chucked out. It is not surprising that it is a big part of the rubbish going to the landfill. There are some interesting things happening in labs around the world that may fix the e-waste problem but that it going to take a while. In the meantime we have to process all of the e-junk in an environmentally friendly way. So I would like to ask the Techweek organisers why they have not included any items on e-waste in their programme?